It's hard to convey the ups and downs of the past week. Last weekend's Wildfire Pottery Show in Bend was an utter pleasure. 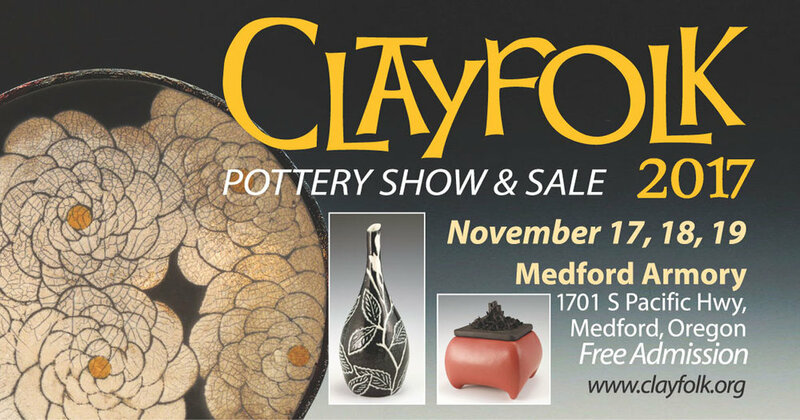 A great group of potters who all pitched in to put on this small but powerful clay showcase and sale. As a first year participant it was such a positive experience. We can only hope that schedules and weather allow this to become a regular feature in our calendar. But . . . then it was back to home and back to reality. With a serious bang. Everyone worldwide has likely heard more than enough about the U.S. elections so what can we add? Thankfully our Clayfolk Pottery Show & Sale debut is so near there has been little time to mourn or fear what 2017 has in store. Just keep on throwing. Repressive, narrow conservative regimes historically have led to great art and revolution, repressive, narrow conservative regimes historically have led to great art and revolution, repressive, narrow conservative regimes historically have led to great art and revolution. Just keep saying it and make it happen.